~ Russian President Vladimir Putin commenting on the film, “Dr. Strangelove: or How I Learned to Stop Worrying and Love the Bomb,” in an interview with Oliver Stone, May 11, 2016. Putin had not seen the movie and did not know of it before Stone showed it to him. The “Doomsday Machine,” the title of Daniel Ellsberg’s superb book, is not an imaginary contraption from a movie masterpiece. A Doomsday Machine uncannily like the one described in “Dr. Strangelove” exists right now. In fact, there are two such machines, one in U.S. hands and one in Russia’s. The U.S. seeks to hide its version, but Ellsberg revealed it has existed since the 1950s. 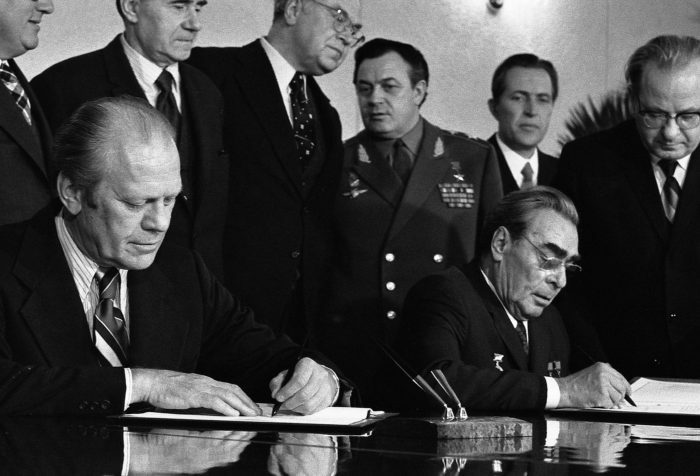 Russia quietly admitted it has one, named it formally, “Perimetr,” and also tagged it with a frighteningly apt nickname “Dead Hand.” Because the U.S. and Russia are the only nations with Doomsday Machines to date, we shall restrict this discussion to them. The second component is a weapon of such destructive force, it can kill billions at once, and then more gradually, the entire human race, and perhaps all animal life on earth. Here is a brief consideration of Ellsberg’s views as a reminder of the nuclear peril we face along with a plan of action he and others suggest. Russia and the U.S. each have the ability to strike the other with great force, to destroy the other’s cities and industrial and military bases. The essence of this first-strike capacity is the ability to wipe out the deterrent of the other side or weaken it so the remaining force could be intercepted for the most part. How can a targeted nation respond to such a capability? It must convince the adversary such a strike is futile because it will not destroy the deterrent of the targeted nation. The attacker must understand the nuclear force of the targeted nation, its nuclear deterrent, will survive, and the attacker will be annihilated. Nuclear warheads loaded onto delivery vehicles are said to be “deployed.” They are ready to be launched in minutes. On each side —both in Russia and in the U.S. — roughly 1,600 such warheads were loaded onto long-range delivery vehicles in 2018. (There are several thousand more warheads in reserve on each side but not “deployed.”) It is easy to see the danger inherent in this situation. It works this way: These “others” are located in secret command centers far from Washington or the Strategic Air Command Base in Colorado, both of which will be targeted in a decapitation strike. If these secret centers find themselves cut off from communication with Washington or Moscow, then the assumption is made a decapitating nuclear strike has occurred. In this event, these “others” removed from the centers of power are authorized to press the nuclear button. These others are not elected officials, and in fact, we do not know who they are. What Ellsberg discovered is some of these “others” are military people concerned they too could be hit in a decapitating strike. So they also have the authority to delegate. In fact, no one, perhaps not even the president, nor his circle of advisors, knows who can launch the nuclear weapons. 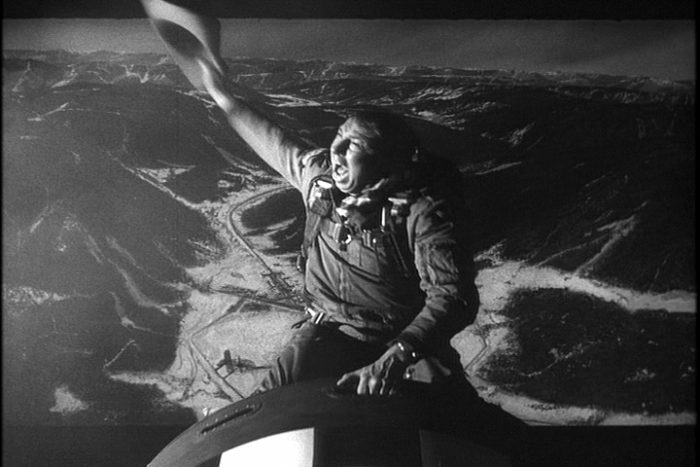 Is it possible one might be like the fictional General Jack D. Ripper, the psychotic, delusional fellow who gives the launch order in Dr. Strangelove, or someone lusting after the Rapture? In summary, first-strike capability is the source of the problem. It leads to a nuclear arms buildup, launch on warning, and delegation. The idea of having such a capability is deeply imbedded in U.S. “strategic thinking,” and will be hard to dislodge. The second component of a Doomsday Machine is the weaponry. What is the destructive power of the nuclear weapons used in a first strike? In 1961, when Ellsberg was among those working on nuclear-war fighting strategy for the Kennedy administration, he requested an estimate from the Pentagon of the deaths due to a first strike as the war planners had mapped it out then. To his surprise, the estimate came back at once — the Pentagon made it and kept it hidden. At a time when the global population was about 3 billion, a first strike by the U.S. would result in the deaths of 1.2 billion from explosions, radiation and fire. That number was deaths only, not injuries. And it was only the result of U.S. weapons; it did not include deaths from a Soviet response if they managed one. The deaths would be concentrated in targeted countries, then and now, the U.S. and Russia. 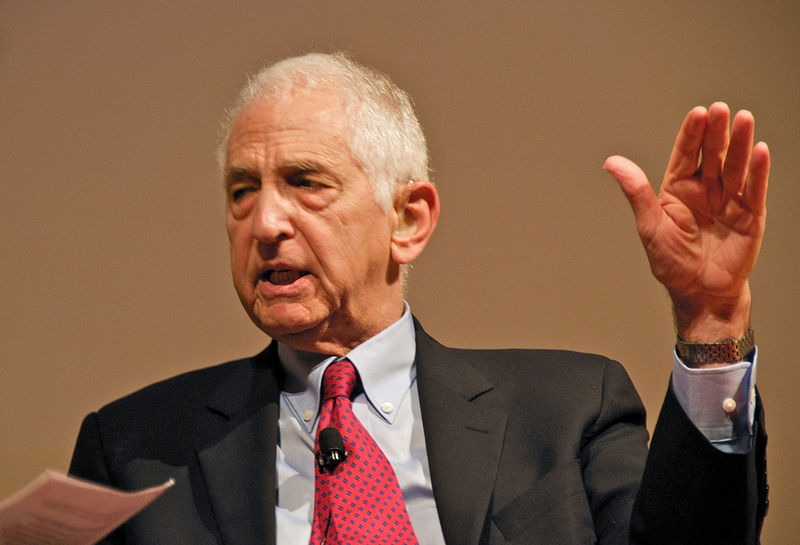 Ellsberg was stunned to learn the Pentagon would coolly make plans for such a gargantuan and immediate genocide. And so should we all be. But the damage does not stop there. This is the surprise the Pentagon did not understand at that time. The ash from the fires of burning cities would be cast up into the stratosphere so high, it would not be rained out. There it would remain for at least a decade, blocking enough sunlight to prevent crops from growing for 10 years. This is sufficient to cause total starvation and wipe out the entire human race, with only a handful at most able to survive. Nuclear winter was publicized in the 1980s and encountered some initial skepticism. The launch of the 1600 “deployed” warheads of either the U.S. or Russia is sufficient to give us nuclear winter. So we in the U.S., put in place a weapon system on hair-trigger alert commanded by we know not whom, that can kill virtually all Americans – along with most everyone else on the planet. We have on hair trigger alert a weapon that is, in essence, suicidal. Even if we neglect the effects of nuclear winter, the nuclear attacks would be concentrated on Russia and the U.S. So most of us would be consumed. Thus, MAD (Mutually-Assured Destruction) is replaced with SAD (Self-Assured Destruction). Dismantling the Doomsday Machine with its hair-trigger alert and system of delegation means abandoning a first-strike policy and capacity. And right now, only two countries have such first strike capacity, and only one, the U.S., refuses to take the right to use it “off the table” even when not under attack. They are only good for a first strike, for they will be destroyed in a successful first strike by an adversary. 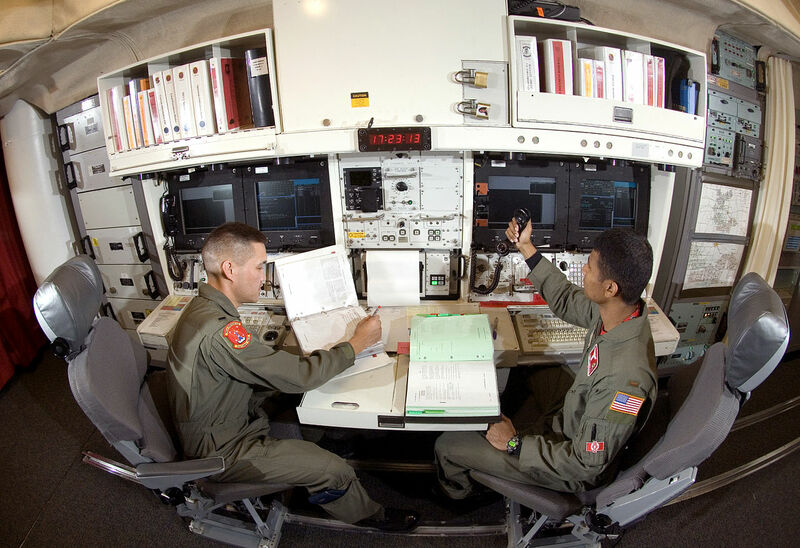 Former Secretary of Defense William Perry and James E. Cartwright, formerly head of the Strategic Air Command and formerly vice chair of the Joint Chiefs of Staff, both called for dismantling the Minuteman III. The second step is to reduce the Trident Submarine-Launched Ballistic Missile (SLBM) force to the level where it cannot destroy the entire Russian land-based missile force. Russia also would need to execute similar measures, taking into account the specifics of its arsenal. Here negotiations, treaties, and verification are necessary. But these are impossible in the current atmosphere of Russiagate and Russophobia, which is why both are existential threats which must be surmounted. We must talk despite our differences, real or perceived. 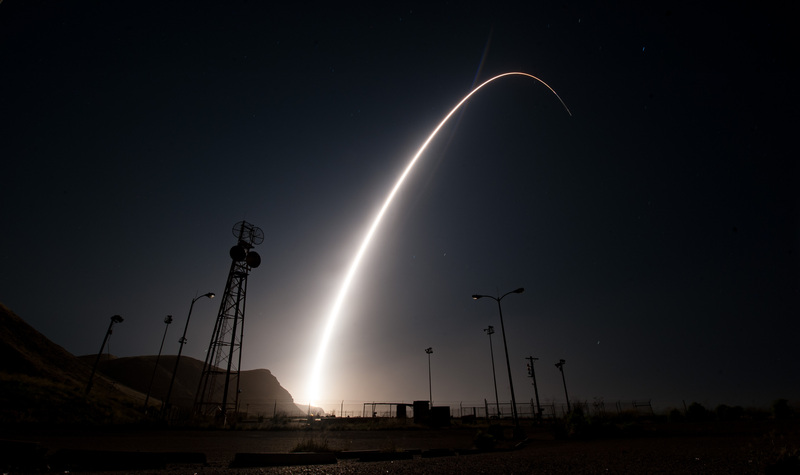 Which is to say, these warheads should be removed from their delivery vehicles and stored in such a way that it would take days or even weeks to deploy – that is, to remount. This has been proposed by the Global Zero Commission on Nuclear Risk Reduction whose plan is laid out here. Total abolition should be the ultimate goal because no human hand should be allowed to wield species-destroying power. But it seems an intermediate goal is needed to give us the breathing space to get to zero nuclear weapons. An intermediate and readily achievable goal can call attention to the problem and motivate large numbers of people. 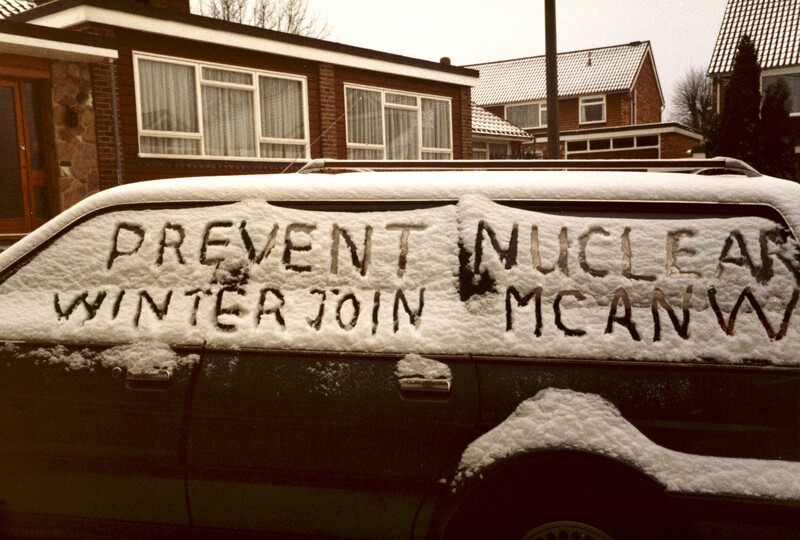 The Nuclear Freeze movement of the 1980s is a very successful example of this sort of effort; it played a big role in making the Reagan-Gorbachev accords possible. The effort to kill the Doomsday Machines might well be called something like “Step Away from Doomsday” or simply “Step Away.” At two minutes to midnight, we must make haste to do this. Abolishing nuclear weapons will require a breakthrough in the way countries deal with one another, especially nuclear armed countries. Let us give ourselves the breathing space to accomplish that much. John Walsh was a professor of physiology and cellular neuroscience at a Massachusetts medical school. Previous Post Donald Trump don’t need no ideology or policy because Donald Trump got steel cage matches!! !